A Christ-like lion figure in cinematic form, the Narnia film series has been resurrected for a fourth installment. 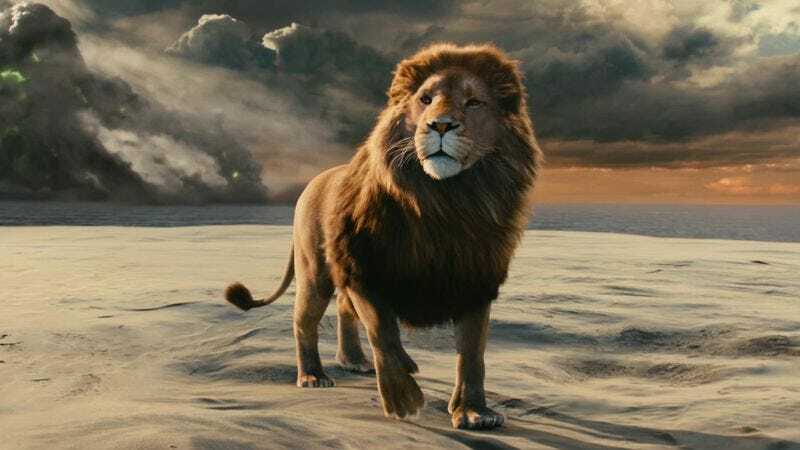 After three films produced with Walden Media—The Lion, The Witch, And The Wardrobe and Prince Caspian released by Disney and The Voyage Of The Dawn Treader by Fox—the C.S. Lewis estate’s development deal expired in 2011, with the possibility for future films adapting more overtly religious allegories left hanging in the balance. But now producer Mark Gordon has brokered a new deal to move forward on The Silver Chair—the fourth novel by publication history, though the sixth in narrative chronology. The Silver Chair will now be the next Narnia film instead of The Magician’s Nephew, as originally chosen by the estate before the Walden deal expired. Though neither of the previous sequels could match The Lion, The Witch, And The Wardrobe’s haul of over $700 million, the allure of a continuing film series based on an established literary property proved too much to abandon—provided producers can find some way to compete in the now even more overcrowded young-adult marketplace. Perhaps they could add in an oppressive, futuristic totalitarian regime that's brought to its knees by a female protagonist with an affinity for antiquated ranged weaponry.